It’s portrayal of God’s justice and human nature. The film illustrated the total depravity of man in a manner that justified God’s plan to wipe out humanity through a world-wide flood and start afresh with Noah and his family. It’s portrayal of Noah. VBS and felt boards got it wrong; the Noah story is not this happy ponies-and-dandeliones bible story. It actually is the closest God’s people will get to seeing the wrath of the Father poured out on humanity. If I were Noah and had witnessed such a terrible slaughter, I would be a wreck. Even more so, I would wonder why God chose to spare me and my family rather than literally anyone else on the planet. 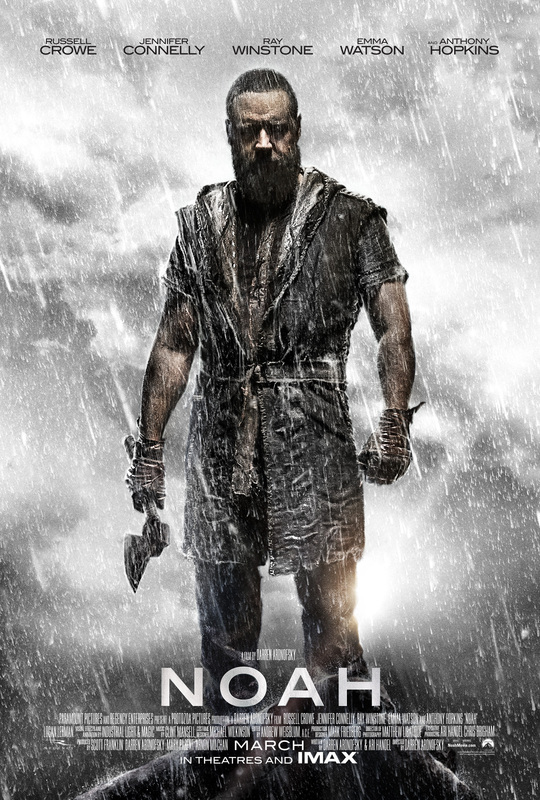 The film’s portrayal of how dark Noah could be at times I think more accurately portrays the emotions that Noah was wrestling with than our typical sunday school story. The Name of God. As I walked into the theater opening weekend with a group of 75 of our youth, their families and friends, I tweeted and posted on Facebook how excited I was to finally view the film. Of course, many people who hadn’t seen the film tweeted and commented back to my excitement with only legalistic criticism and outrage. One of the major responses was that “God is not mentioned in the movie at all!” This couldn’t be the furthest from the truth. On the contrary, I think the film’s choice of referring to God as “The Creator” is more accurate to the people in the story. During that time, not many people had spoken to God nor knew His Name; this title more appropriately represents the name of God that Noah and His family would’ve known Him as. God’s care for all of His creation. Yes, I do think that the movie went too far in some regards, somewhat placing a greater value on animals rather than humans. However, I do think the movie addresses a weakness in the church that is especially prevalent in the United States. Adam was entrusted to steward and care for all of God’s creation. Instead, humanity selfishly uses creation not only for needs but also for desires. Much of the church in the West is no different. This movie added an element and point of emphasis that if a non-Christian were to have directed this film, I believe that they would have unfortunately negated this emphasis and calling for God’s people. It challenged my thinking. Our thinking constantly needs to be challenged and reevaluated. Is that not what Jesus did in His preaching as recorded throughout the gospels? Countless instances in the movie struck my thinking chords (God’s Name, how Noah felt and what Noah thought, God’s care for all of creation, etc). It sparked conversations with my wife. The instances mentioned above among others led to much discussion between my wife and I about the movie, Genesis, what’s really in scripture and what we’ve added, and about God, Himself. It sparked conversations with nonbelievers. My wife and I have already had multiple conversations with multiple non-believers about the Noah movie. So far, the conversations have not been pushy or felt too “religious” but honest and interesting. Even more so, the conversations have not ended at the Noah story but have led to discussing how the story of Noah was a shadow of the greater redemption that God would bring about through Jesus. It sparked bible reading. According to a report by the YouVersion bible app, people opening the Noah story in Genesis sparked by 300% in the U. S. alone. It led me to worship God for His amazing, unconditional grace and mercy. Overall, the portrayal of evil along with God’s justice in punishing sin fueled my gratitude and joy in God for the grace and mercy that He has extended to us through Jesus. I too enjoyed the movie Noah for a lot of the same reasons. It also made me think of what it would be like if I were in any of their shoes. I think it’s good when movies spark thinking.